Waterproof. Dust proof. Shock proof. With flashlight and snap hook. 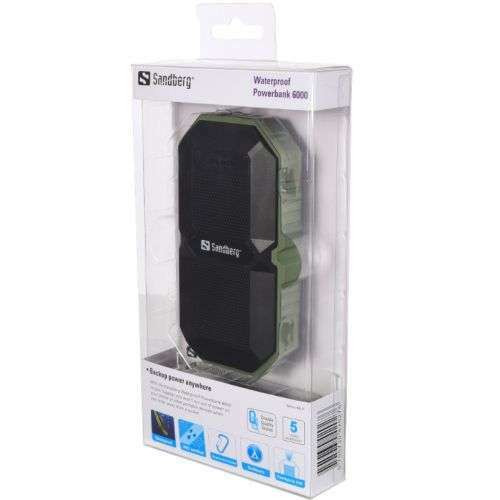 With the Sandberg Waterproof Powerbank 6000 in your luggage you won’t run out of power on your phone or other portable devices when you’re far away from a socket. You get up to 2 charging cycles for a typical smartphone and with its solid and waterproof packaging it keeps going even under harsh conditions. Charging status can be read easily with the lights on top.